When the five powers of the planet combine earth, wind, water, fire, and heart that's when Captain Planet shows up! Want to protect the earth and stop naughty humans from polluting and littering. You're on the right track! Show up in full on Captain Planet gear and people won't dare toss their pop bottles to the side when they're done with it. You'll simply cross your arms and they'll pack it in to recycle it at home. This is a great look for Earth Day celebrations or eco-friendly costume parties. No matter why you're dressing up as this eco-hero, you're going to need Captain Planet's indigo hue before you lead the Planeteers! You might have a hard time convincing anyone that you're the cheerful earthy hero without this light blue makeup. It's easy to evenly apply and comes with two application sponges so your face will be ready to show polluters what's what. The DIY power is yours once you've got this makeup. 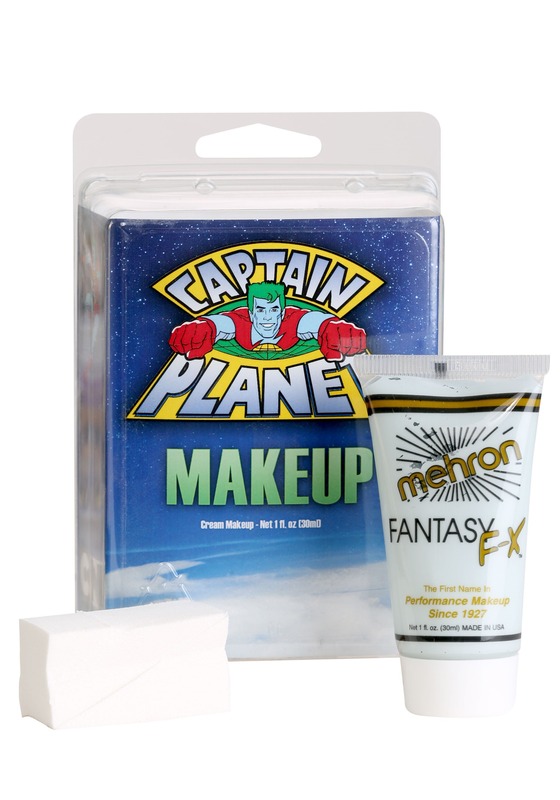 Pair this makeup with a cropped red t-shirt, a green wig, red briefs, and blue tights and you'll be ready to roll! If any hero actually wants to save the world, they oughta start with the planet first!